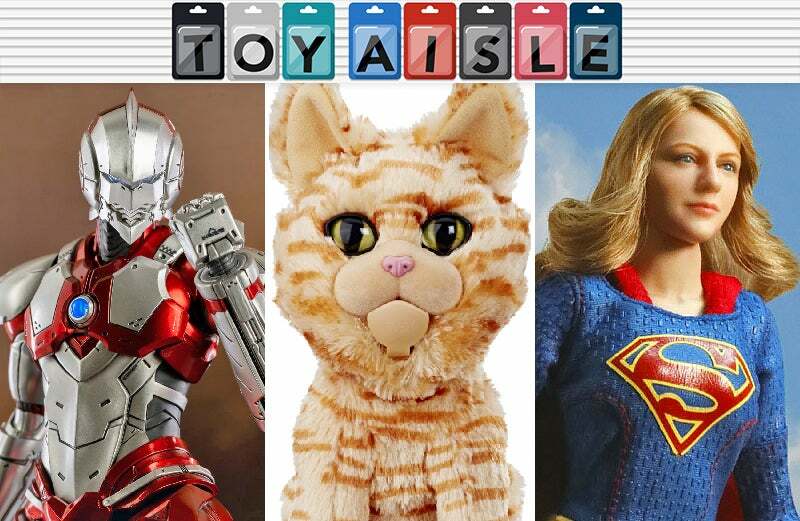 Welcome back to Toy Aisle, our regular round up of the best and brightest in wallet-emptying goodness on the internet. This week: Goose’s thrall over us all tightens its furry grip, Netflix’s new Tokusatsu star gets an incredible figure, and we’re up, up and away with TV’s Supergirl. Check it out! In a few weeks, Netflix’s highly anticipated anime adaptation of the excellent Ultraman manga by Eiichi Shimizu and Tomohiro Shimoguchi finally hits the streaming service. But why wait to ogle the glorious, Iron Man-esque take the manga and anime have on the iconic Ultraman aesthetic when you could get this extremely fancy toy version instead? ThreeZero already released this design as originally inspired by the manga, but the new one’s metallic paint scheme has been updated to reflect the styling of Production IG’s CG series. 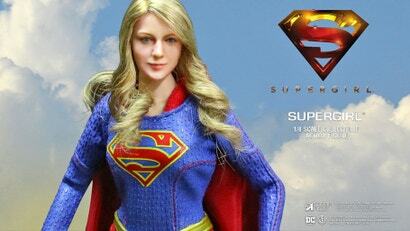 Like trying to recognise a friend from a distance, if you squint juuust enough, Star Ace Toys’ 22.5cm Supergirl figure almost starts to bear a passing resemblance to actress Melissa Benoist. Speaking of barely recognisable character to toy conversions, Captain Marvel’s Goose the Cat didn’t fare quite as well as Supergirl did with this plush version from Hasbro. Available this month for $US20 ($28), it almost looks like a super-sized Beanie Baby clone that Hasbro simply re-labelled as one of Marvel’s new fan-favourites. But a toy company would never do something like that, right? ...Right? 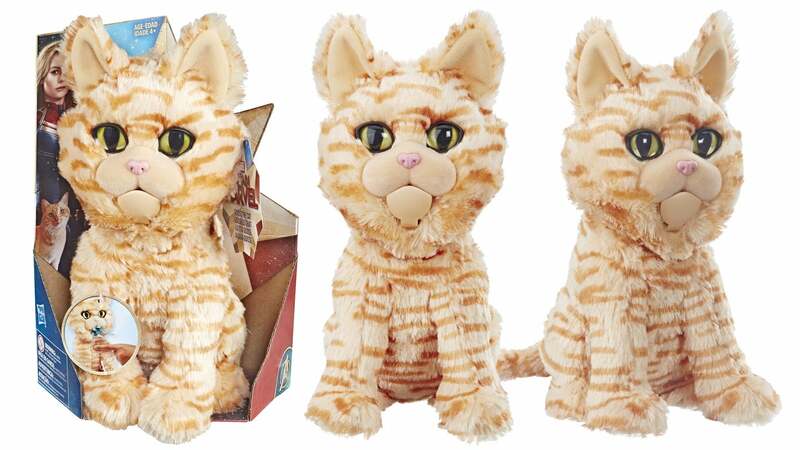 At least it comes with an action feature to replicate Goose’s true nature as a kitty that is definitely out of this world. You might have to do a bit of searching to find somewhere that will ship this kitty to Australia, though. If you’re going to inevitably find yourself stuck assembling puzzles over the holidays with your family, you might as well go the 3D route and end up with something you can fill with LEGO minifigures or other tiny action figures. Wrebbit never really went away, but after a handful of acquisitions and sales, the company is back in full force, churning out DIY replicas of famous landmarks, including fictitious locales such as Game of Thrones’ Winterfell (910-pieces) and the Red Keep (845-pieces), available now for $US55 ($78) each. However, again, you might have to do some searching - or use a mail forwarding service. 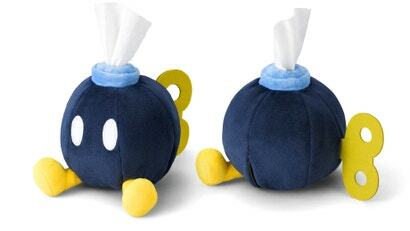 On one hand, $US40 ($56) is a lot of money to spend on a tissue holder when they already come in their own handy self-dispensing box. On the other hand, this adorable Super Mario Bob-omb tissue holder from Japan turns every square into a fuse popping out of the character’s head. It never actually explodes, however, which we’re going to consider a pro instead of a con.